Lucius Amelung, founder of PI miCos GmbH in Eschbach near Freiburg Germany, is moving onto new responsibilities within the PI Group and has been appointed managing director of the new PI Innovation GmbH as of July 1, 2018. The foundation of the new company underlines PI's commitment to continued progress and growth. The main objective of PI Innovation GmbH in the age of Industrie 4.0 and digitization is to be in a position to identify market trends and customer demands much earlier and put this knowledge into developing technology and innovative products. Lucius Amelung takes on this new challenge with a great deal of pleasure and enthusiasm. In order to put the same energy into the interests of the new company as he did for PI miCos, he now hands over to Dr. Peter Schittenhelm after 28 years of successful management. Dr. Schittenhelm will take on this function in conjunction with his responsibilities as Chief Operations Officer (COO) of the PI Group. 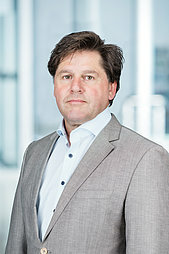 In addition to Lucius Amelung, Markus Spanner, Managing Director Finance & Controlling (CFO) of the PI Group, will also be a member of the General Management of PI Innovation GmbH. During the course of the change in the General Management, PI (Physik Instrumente) GmbH & Co. KG also acquires the remaining shares of PI miCos and this means that the company will now be a wholly-owned subsidiary. PI miCos will be reinforced and further developed into a center of expertise for motorized positioners within the PI Group. In this way, potential for growth is to be exploited to meet the increased requirements from industry for precision automation.